When rock bands want to reach the skies with their music, they look to a powerful lead singer to deliver them there. 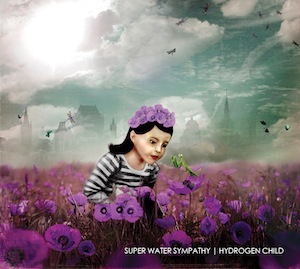 Super Water Sympathy is precisely that type of band, and Ansley Hughes is precisely that frontwoman. On their second full length, Hydrogen Child, the Vans Warped Tour veterans jump from rock balladry to catchy pop gems with Hughes singing strongly over strings, synths, and guitars aplenty. hook-tastic and teasing chorus lay it on thick, while “Anthem” is just that— a large-scale, stadium-filling, chorus-for-the-heavens anthem. But it’s when Hughes belts “I will make you believe” that we”re truly engaged.